Home > Blog > Power Cuts, Flight Delays and Compensation Claims. Power Cuts, Flight Delays and Compensation Claims. This was posted on the East Midlands Airport’s Twitter account after the power cut that happened on Saturday causing a lot of travelers left stranded since 8:30am. Meanwhile, all the flights were cancelled. It was reported that the investigators were trying to isolate the reason of this incident. There was an initial panic of a fire causing the outage but the fire department was assured by the airport authorities that this was not the cause. The Flights were resumed in the afternoon and at 3pm a statement of appreciation was issued by the airport for the “patience and understanding” shown by the passengers. But frankly there options were next to none to do anything about it anyways. Passengers have been complaining about the delays of airlines for some time now. Jet2 was due to compensate it’s passengers for the delays last year. Therefore, the passengers can expect that they might be getting what they are owed soon. 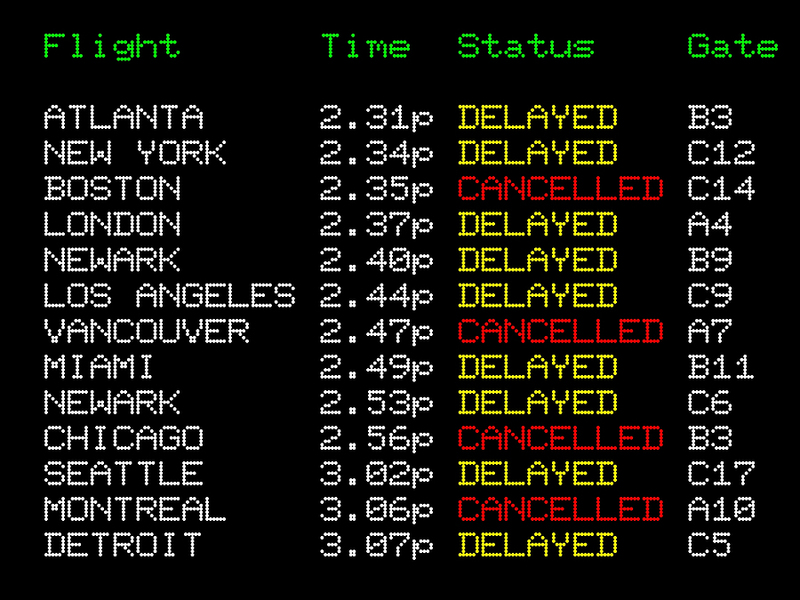 It appears to be a busy season of delayed flights and passengers stuck up at the airport. It not only messes with their travelling plans but also affects their pre-arrangements such as hotel reservations and advance parking. The ones who utilized the park and ride facility of tuck their cars away for the time they are gone, suffer the worst. As these compounds are administered by electronic ticketing system, they have to wait for the power to be restored in order for them to get their vehicle out of it and go back home after their flight was cancelled. There is a simple solution for this problem. Avail the Meet and Greet parking or the Valet Parking service offered by Mobit Airport Parking and be free to get your car back whenever you want. Previous PostBook Meet & Greet Parking to avoid Airport Frets.Next PostAirport Car Parking At Luton. Hello there! I just wish to give you a huge thumbs up for your great info you have got right here on this post. I'll be returning to your blog for more soon. Regards for this tremendous post, I am glad I noticed this web site on yahoo. Excellent, what a website it is! This web site gives helpful information to us, keep it up. Thanks on your marvelous posting! I genuinely enjoyed reading it, you may be a great author. I will be sure to bookmark your blog and may come back from now on. I want to encourage that you continue your great writing, have a nice holiday weekend! whoah this blog is wonderful i love reading your articles. Keep up the good work! You know, many people are searching around for this information, you could aid them greatly. Perfectly composed content , thankyou for entropy. Hello there! I could have sworn I've been to this site before but after checking through some of the post I realized it's new to me. Nonetheless, I'm definitely delighted I found it and I'll be bookmarking and checking back often! Having read this I thought it was rather informative. I appreciate you spending some time and effort to put this information together. I once again find myself spending a lot of time both reading and commenting. But so what, it was still worthwhile! Magnificent site. Plenty of helpful information here. I am sending it to several friends ans also sharing in delicious. And certainly, thank you in your effort! This website certainly has all the info I wanted concerning this subject and didn't know who to ask. Some genuinely nice and useful information on this site, as well I conceive the pattern contains fantastic features. Thanks for your marvelous posting! I definitely enjoyed reading it, you can be a great author.I will make certain to bookmark your blog and will eventually come back in the foreseeable future. I want to encourage you to definitely continue your great posts, have a nice evening! You ought to take part in a contest for one of the greatest sites online. I will recommend this site! Awesome! Its in fact amazing post, I have got much clear idea regarding from this post. Great blog you have here.. It's hard to find high quality writing like yours nowadays. I really appreciate individuals like you! Take care!! This is really interesting, You're an excessively skilled blogger. I have joined your rss feed and stay up for seeking more of your magnificent post. Additionally, I have shared your website in my social networks! What's up everyone, it's my first visit at this site, and post is truly fruitful in support of me, keep up posting such articles. Hi, yeah this article is genuinely good and I have learned lot of things from it. thanks. Fastidious replies in return of this issue with genuine arguments and describing everything on the topic of that. Thanks , I've recently been looking for information about this topic for a while and yours is the best I have found out till now. Hi, just wanted to mention, I loved this post. It was practical. Keep on posting! Way cool! Some extremely valid points! I appreciate you writing this and also the rest of the website is also really good. Greetings! I've been following your site for a while now and finally got the courage to go ahead and give you a shout out from Atascocita Tx! Just wanted to tell you keep up the excellent job! I am trying to to find solutions to parking issues. I assume its adequate to use a few of your concepts! !